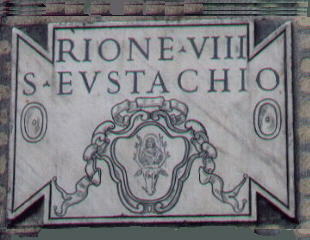 Rione Sant'Eustachio was named after the parish church of Sant'Eustachio located at the center of the rione. 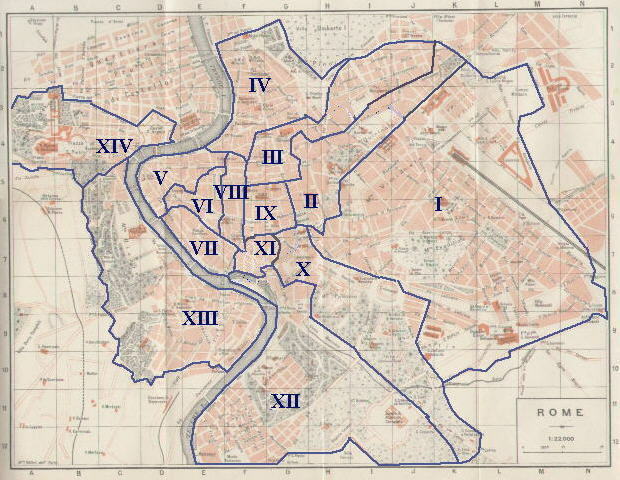 It borders to the west on Parione and Ponte, to the north on Campo Marzio, to the east on Colonna and Pigna and to the south on Sant'Angelo and Regola. It is therefore in a very central location. 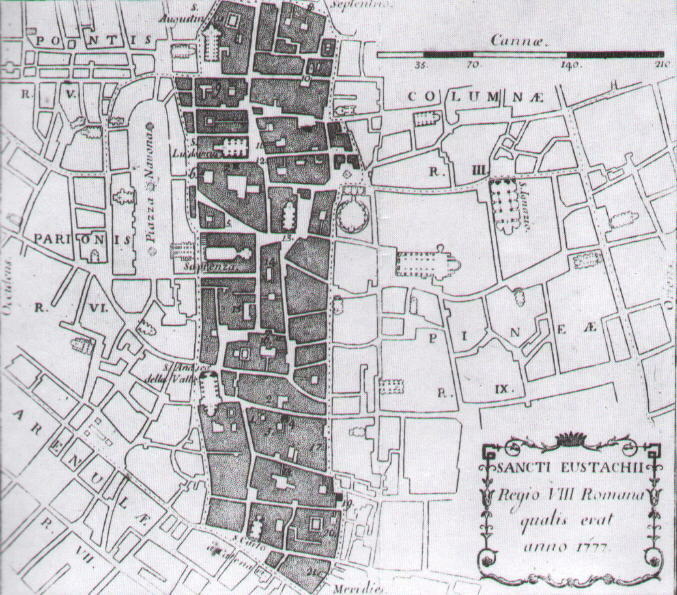 For a map of the Roman quarters (Rioni) click here. The symbol of Rione Sant'Eustachio is a deer (read about the conversion of S. Eustachio). XVIth century:S. Luigi dei Francesi; Palazzo Valle. XVIIth century: S. Andrea della Valle; S. Carlo ai Catinari; Archiginnasio della Sapienza; Palazzo Madama. In 1927 the City of Rome commissioned to the sculptor Pietro Lombardi a fountain for Rione Sant'Eustachio. 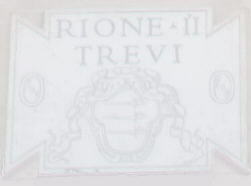 It shows the symbol of the rione (a deer) together with a reference (four books) to the Archiginnasio della Sapienza. The prevalence of XVIth and XVIIth century architectural patterns in Sant'Eustachio is due not only to its monuments but also to minor buildings. d) far right: the opening of a large road (Via Arenula) led to the pulling down of two minor churches near S. Carlo ai Catinari. The different colours group the monuments which are shown in the same page. Palazzo Nari With monuments of Campo Marzio. Palazzo Casali With monuments of Campo Marzio. - Convento di S. Agostino and Biblioteca Angelica With monuments of Ponte. Palazzo Baldassini With monuments of Ponte. Chiesa di San Salvatore alle Coppelle With monuments of Colonna. - Piazza delle Coppelle With monuments of Colonna. - Piazza della Rotonda With monuments of Pigna. Chiesa dei Santi Benedetto e Scolastica With monuments of Pigna. Casa del Burcardo With monuments of Pigna. - Teatro Argentina With monuments of Pigna. Chiesa di Santa Maria in Publicolis With monuments of S. Angelo. You can start your tour of Rione Sant'Eustachio from S. Carlo ai Catinari. You can also have a look at it from the Janiculum: Piazza Navona and S. Andrea della Valle.